Kew Gardens won the Queen’s Vase at Royal Ascot back in June as well as the Grand Prix de Paris in July and O’Brien was delighted to see the Galileo colt add a Classic to his record. He said: “We couldn’t be happier with him. He’s a horse that’s progressed lovely. 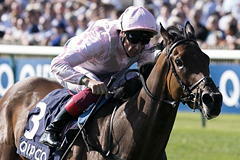 “We saw what he did in (Ascot) and we were delighted with him in France. “We always thought he was a horse that would stay well and we thought the distance would suit him. Moore and O’Brien had to dash off to Leopardstown for the Irish Champion Stakes card, but the rider had time to add: “He travelled well and got there easy. 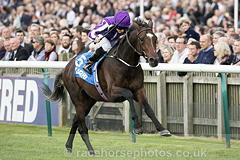 “He’s a very uncomplicated horse with a fantastic attitude and he won it nicely. “There was a period at the three (furlong marker) where you said ‘she’s not going to be placed’, but then she got balanced and organised. “She’s never raced against other horses before.